The House of Panama extends Saludos to you! Once again, we will be providing your children with classes so in preparation for the August 2015 Lawn Program. 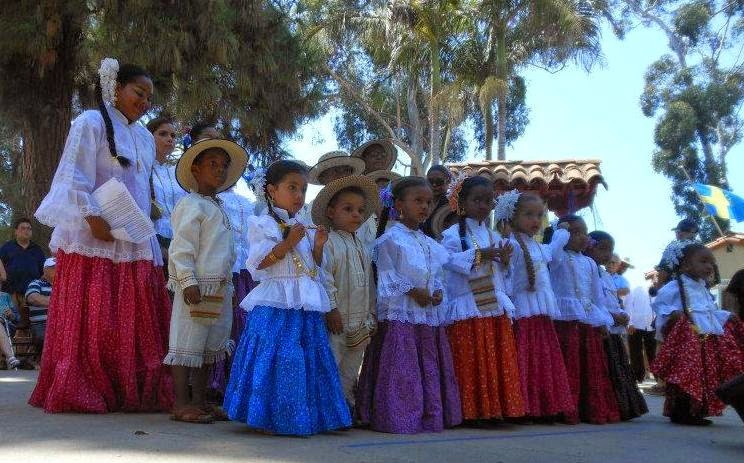 In order to take part in the children's group, the parent(s) or guardian(s) is/are required to commit to bring your children to practices on the 3rd Saturday of every month, from 9:45am - 10:45 am, at the "Plazita" in Balboa Park ‐ unless it is not available. In that case, we will inform you, in advance, of the alternate location of the practice. The age group is 4 to 12 and classes begin on Saturday, February 21, 2015. If interested in having your child participate, please attend this first class and/or contacting the House of Panama, Yolanda Burgess (951) 265‐9788 or Lucy Knutson (760) 845‐3533 prior to the start date. We are very excited and look forward to working with your little ones.